Depositing at the online casinos is one such question which every Indian wants to know when playing at casino sites. 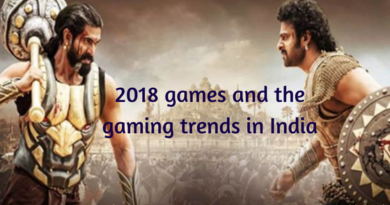 Many reputed online casinos accept now Indian players and as an Indian you can play right from your country online casino games without any such difficulty. These online casinos even offer Indian friendly deposit option to fund your casino account. As you gamble at casinos or make bets with many Book makers for various sports all you need is to register yourself at the casino to open a personal casino account and go the cashier or banking page to make an initial deposit that may vary from casino to casino. Online sites like bet365 and many others accept deposits in rupees and even pay winnings in rupees when you play casino game or sport bet for cricket, racing, football or any such kind. To make this all clear this is the true fact that as betting is not legal in India your Indian credit or debit cards are not compatible for validation over the online casinos or bookies. As there is no such form of security available in India and these online gambling transactions are considered as Money Laundering acts. You may be able to deposit in INR using credit cards, the success rate and dependability is not very high with this method. Indiocasino offers the highest acceptance rate for credit cards, however, they only offer casino games. 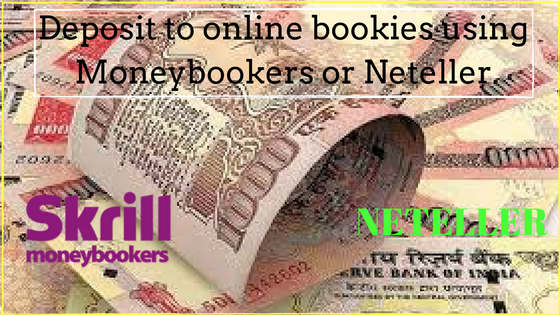 Deposit by Neteller or Money booker– This is the one method that most Indian banks know and you can make a deposit by Neteller or Skrill. The best way to deposit with an online betting sites from India is an e-wallet account. An e-wallet works much like an online bank account. You can fund your e-wallet account using credit card, bank transfer, or e-check. Generally loading from your credit card is instant, where loading from your bank account e-check takes a few days. Once the funds are in your account you can then use them to deposit at betting sites. Neteller was established in 1999 and is run by Optimal Payments PLC. 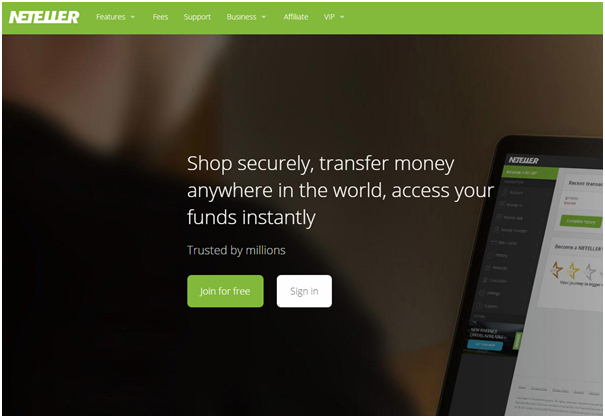 When compared to traditional payment methods, Neteller is a more convenient and fast option. It allows you to transfer money in all major currencies including INR. The e-wallet offers players a range of benefits. Some of these are access to a host of benefits and rewards, special promotions and offers for VIP players and services that allows you to transfer money in a secure way. Skrill has been facilitating easy transfer of money online, since 2001. With a customer-base that exceeds 27 million, Skrill is one of the largest online money transfer service providers in the world. It allows you to transfer money instantly. So, you will have access to provisions for funding your bankroll at all times. The highest level of security with the VeriSign SSL Certificate. Simply visit the Skrill website and register for free. Activate your account and you are ready for the first transaction. 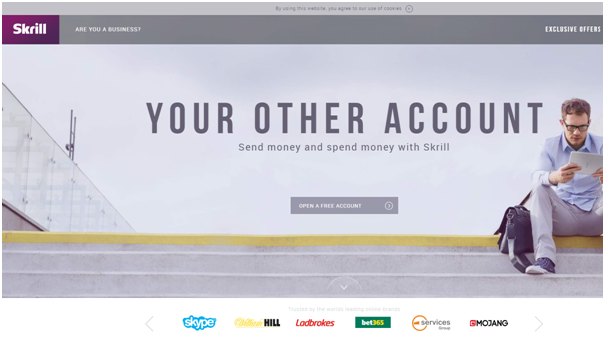 You will need to register yourself and open your Skrill and Neteller account to process your transaction. You will find step by step detail on these sites as how you can set up your account and do your online transactions. The online bookies that accept these deposit method from India are Bet365, William Hill, Ladbrokes, Betfair and 888 sport. You need to but note that for using these as deposit options you need to contact your bank you are using whether they are friendly to these options or not (ICICI bank is friendly to Neteller). Regarding the fees when you make a deposit with Credit/Debit card is 1.75 % with minimum 675 INR. 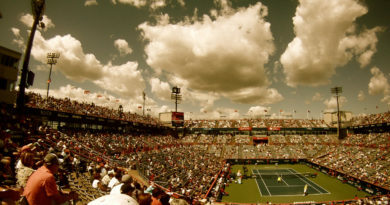 Indians can use Neteller for gambling and betting sites. 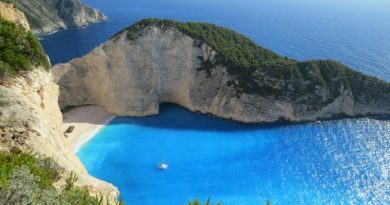 Also there are few other deposit options suitable for Indians such as Click2Pay.com, Bank wire transfers, Western Union or Moneygram and Paypal. But the best deposit method is through Neteller and Skrill.